Baton Rouge, La. 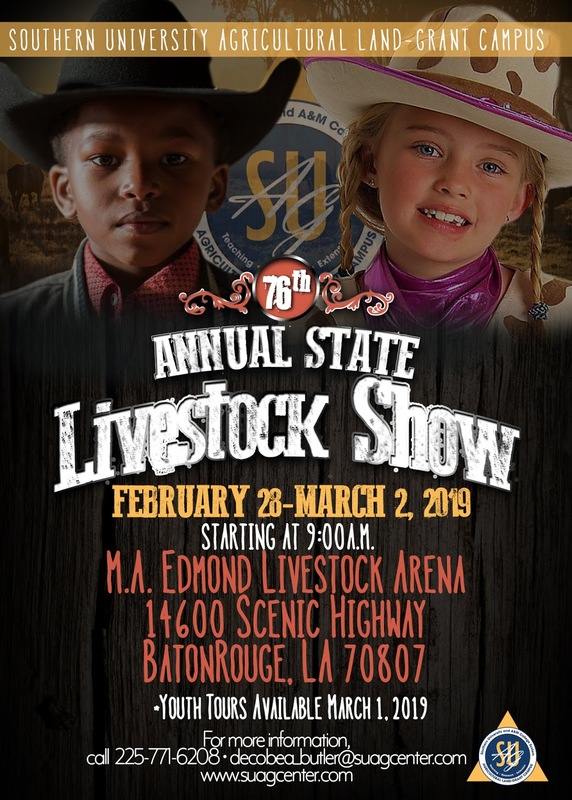 – Nearly 100 young farmers from throughout the state will converge on the Maurice A. Edmond Livestock Arena with hopes of having their prized winning animals named champion during the Southern University Ag Center’s 76th Annual Livestock and Poultry Show. The event, which will be held from February 28 – March 2, provides an opportunity for youth to showcase their hard work in raising and caring for various breeds of cattle, hogs, sheep, lamb, goats and poultry. Winners will receive premiums, ribbons, rosettes and trophy belt buckles. 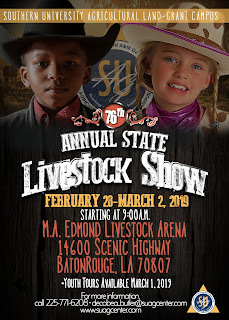 For more information on the SU Ag Center’s Livestock Show, how to purchase meat or register a school for a guided tour, visit http://www.suagcenter.com/page/livestock-show-2019, call 225.771.6208 or email decobea_butler@suagcenter.com.